So maybe you’re wondering what the heck an afternoon reset is … Have you ever hit an afternoon slump? You are working hard and scratching things off your to do list when suddenly you feel like you got hit by a truck? You literally can’t keep your eyes open? An afternoon reset is how you manage to overcome that feeling so you can finish the day and end the night strong! I think everyone has experienced an afternoon slump. If you haven’t, please tell me your magic secret to energy because I need it! We are going so fast most days that inevitably our energy will tap out and we need a break – a reset! Since becoming a mom, I have struggled with this more than ever before. 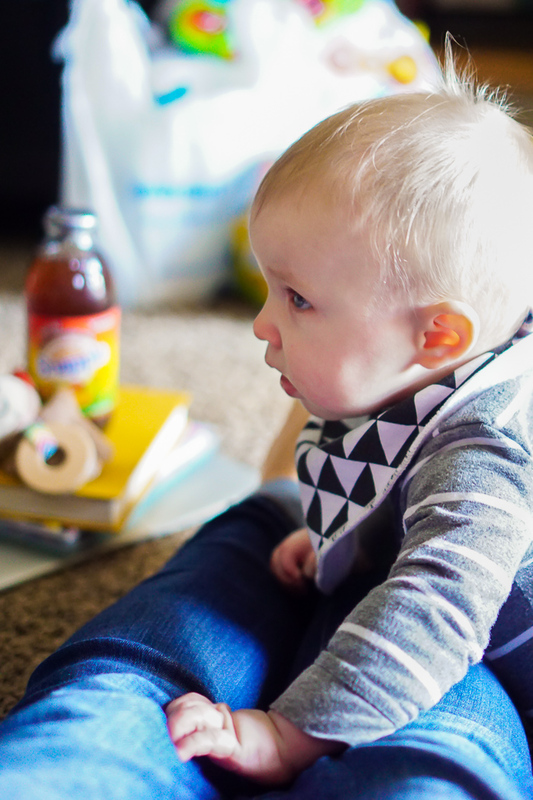 Every afternoon since mommyhood, I have had a wave of exhaustion rush over me. Last week, I was editing photos one afternoon and my eyes would not stay open. I honestly did not want to take a nap because I simply had too much to do. I took a nap anyway with my computer on my lap the whole time. Mommy Afternoon Slumps are the worst! My responsibilities outside being a mom haven’t changed much, so I’ve just had to squeeze more into a normal day. I’ve heard a lot of moms who stay up until 3 in the morning to have quiet work time. There is no way I could do that and still function. I would be taking a nap every single day and more than just a little catnap with my computer. As a work at home mom, I squeeze as much household duties and work tasks in during the day, but I’m fighting against Liam’s schedule and nap whims. So most nights, Bryan comes home and he takes over until Liam goes to bed so I can get more work done. It’s currently 8 p.m. and I am writing this post, which I could not be able to do if I did not take time for myself this afternoon and an afternoon reset. Quiet. This means that Liam needs to be napping so I have time to breathe and sit in some silence. Think about all the sound and noise we listen to a day, especially all the white noise in the background. Then toss in baby toys on top of it all, and I get overstimulated. Therefore, a little quiet to clear my mind is needed. Spark My Mind a Different Way: Quiet doesn’t mean still or boring. In fact, this is the time I want to challenge my brain a little differently because it will help me see everything else more clearly. Often time this is sitting down and reading a book for 20 minutes; I read about different experiences, get to be creative and off on an adventure, and it helps clear my head from all the noise. Sometimes it’s playing a puzzle game on my phone for 10 minutes. When it’s nice out, it’s often a walk and my audio book or phone chat. Whatever the task, challenge yourself to break up the routine and do something different. Plus, doing something for yourself has magically restorative powers! Energy: There is no way I can keep up with a 17+ hour day without a little energy being added into my afternoon reset. This time is essential for me to keep functioning, but it’s also about taking care of me. Me time is always important so I want something tasty, of course! 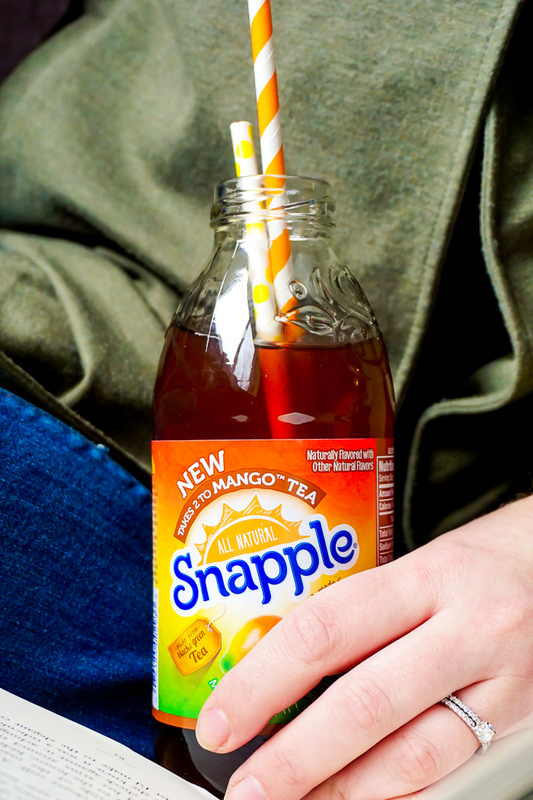 That is where a small snack and Snapple® Takes 2 to Mango™ Tea comes in. 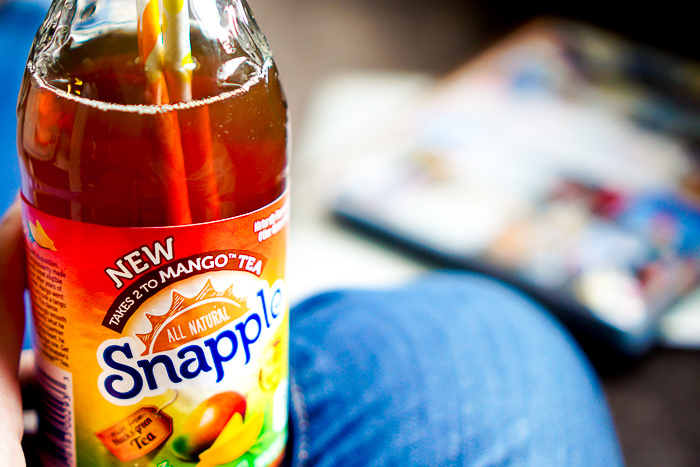 Snapple Mango Tea is a delicious blend of black and green tea leaves with ripe mango flavors. 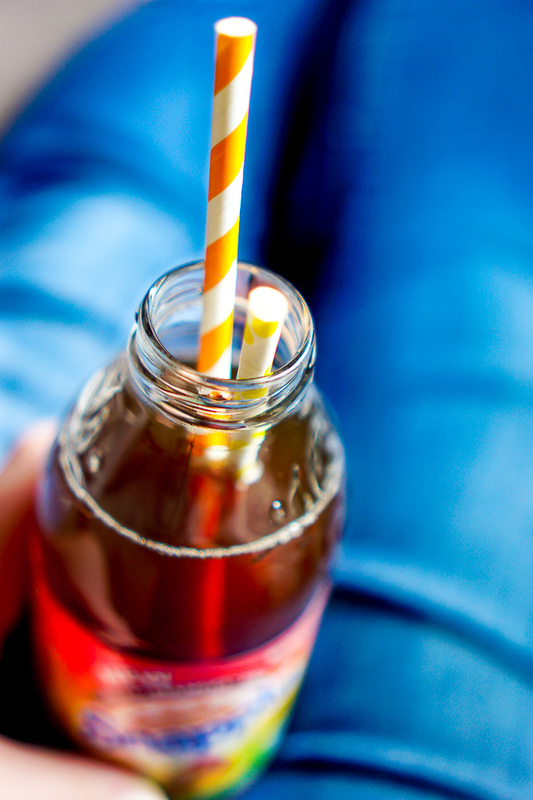 It’s full of bold, great flavor while offering a needed energy pick me up when I start to hit that afternoon slump. 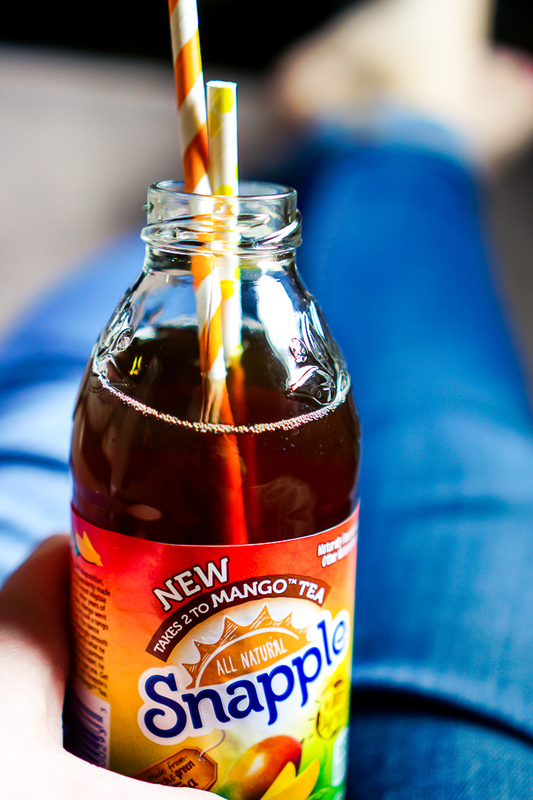 I was out running endless errands on a Sunday a couple weeks ago when I stumbled upon this new Snapple flavor at Walmart. Mango is a favorite flavor of mine (I’m very excited it’s becoming more popular), so I knew I wanted to give it a try. Plus I was looking for a fun new caffeinated beverage to help beat my accidental computer naps. 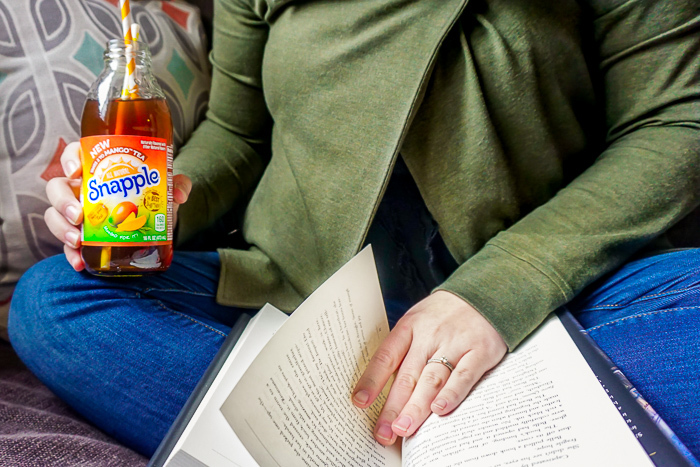 Now when Liam goes down for his afternoon nap, I give myself at least 15 minutes to sit, turn my brain to something different and enjoy a Snapple Mango Tea. If you are struggling with your energy level for the day, I suggest trying it. 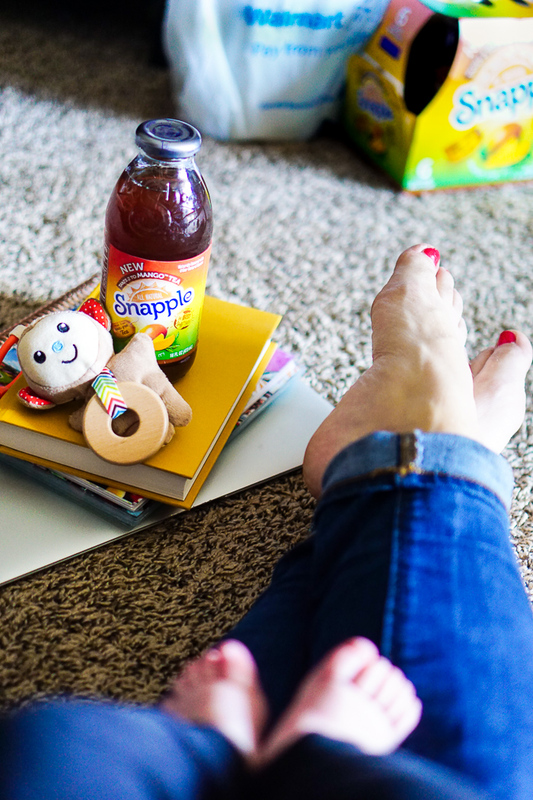 An afternoon reset with Snapple might be exactly what you need!